Welcome to the last January Organizing Challenge. If you missed any of the spaces/areas we've already organized this month simply click the challenge tab at the top of my blog. 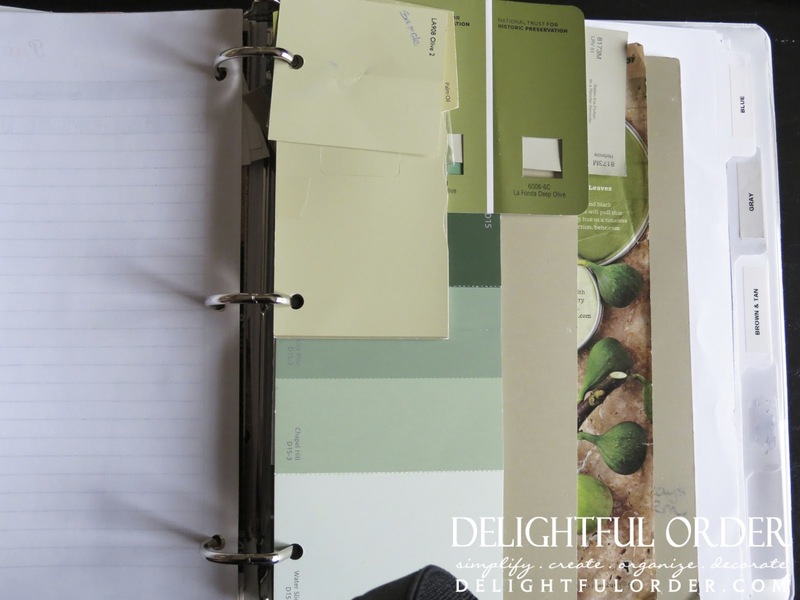 During the month of January we're organizing papers and today I'm showing you how I organize my paint swatches and how I keep track of the paint colors that I use in my own home. 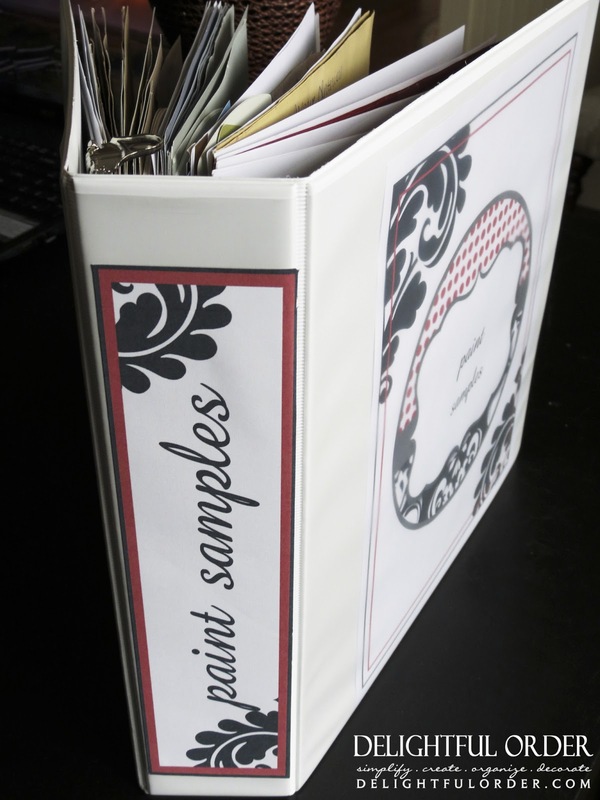 I keep my paint samples in a 3 ring binder. Yes, another binder. This month we've created a lot of binders. You can get the editable and printable 8 1/2 x 11 cover page right here in my shop. 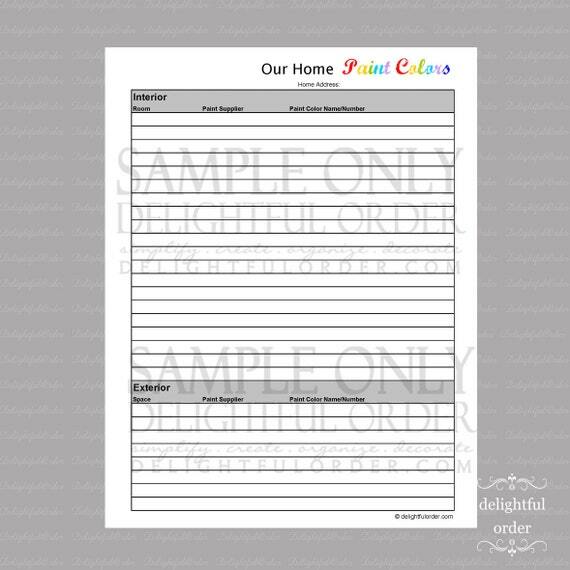 You can use this printable page to label any binder that you are creating. 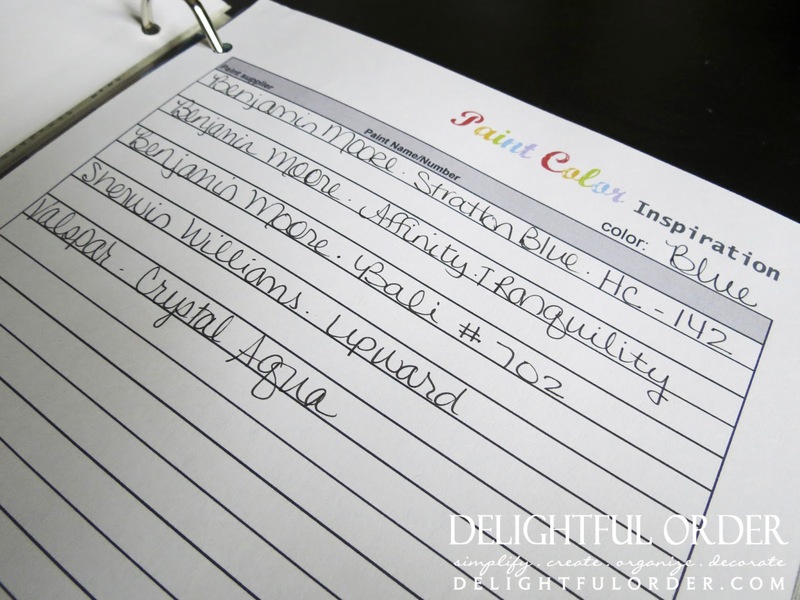 The very first page that I have in my binder is a page called Our Home Paint Colors. It's available in my shop. 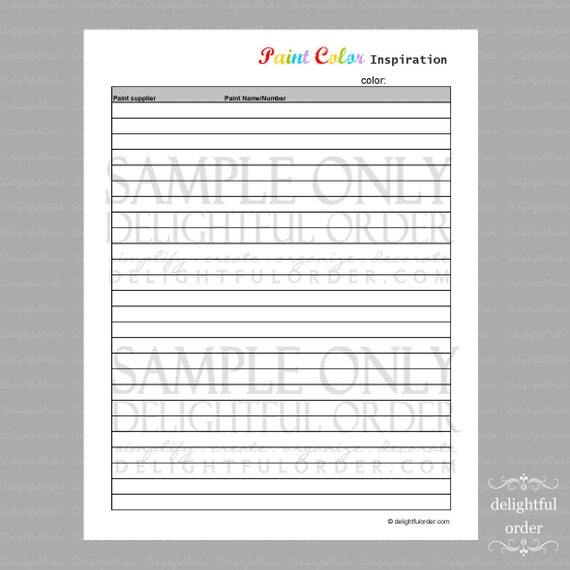 It's a printable PDF page that I've created to keep track of all the colors in my home. 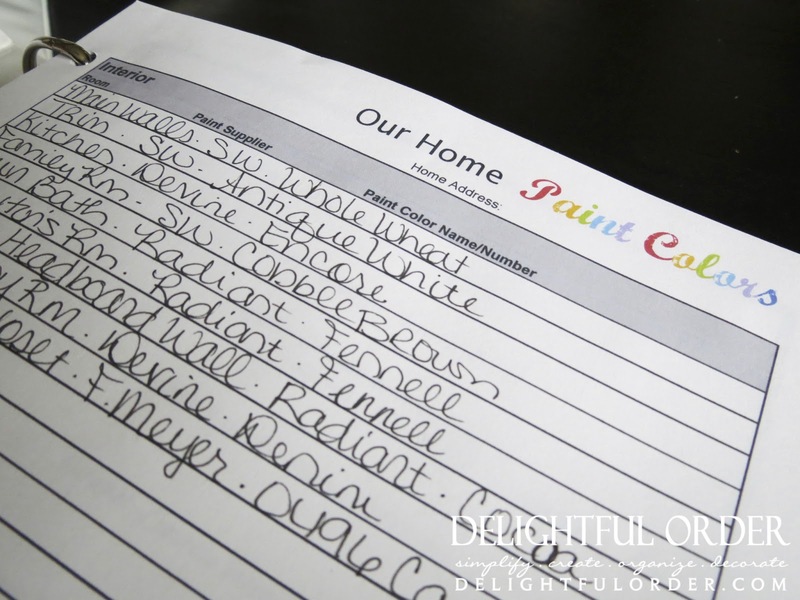 It's a great and easy way to track the different wall colors that I've used within my home. 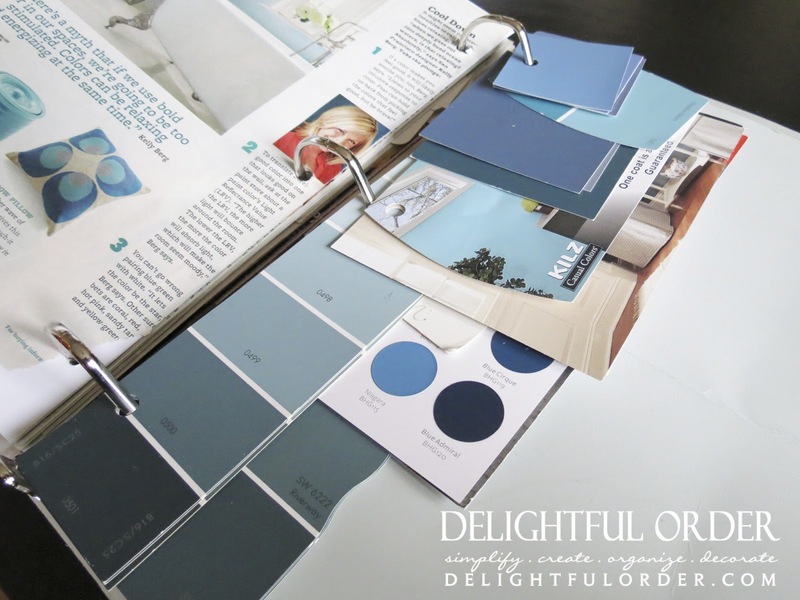 Behind the Our Home Paint colors page, I've organized each section by color. 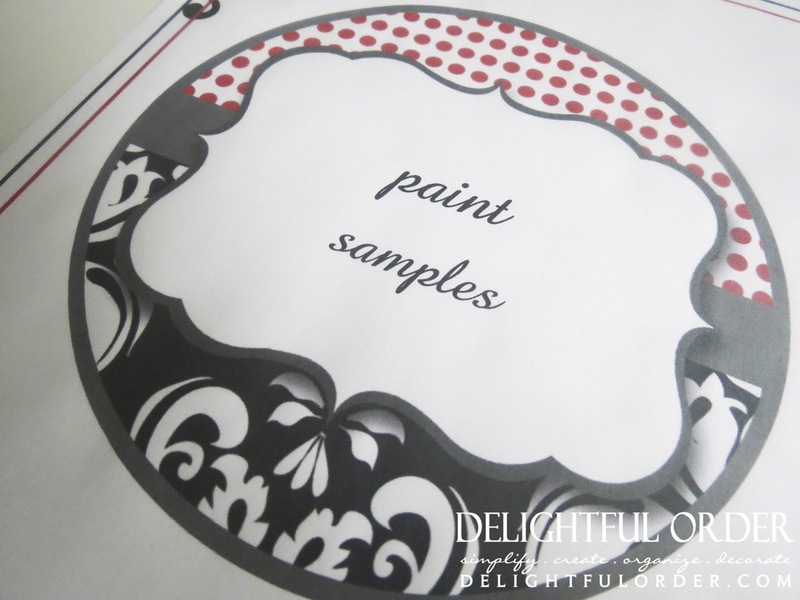 This is another PDF printable page that I've created to help me keep track of paint colors that I've heard about or seen, that I would be interested in possibly using one day. Behind that color inspiration page is where I keep my swatches. 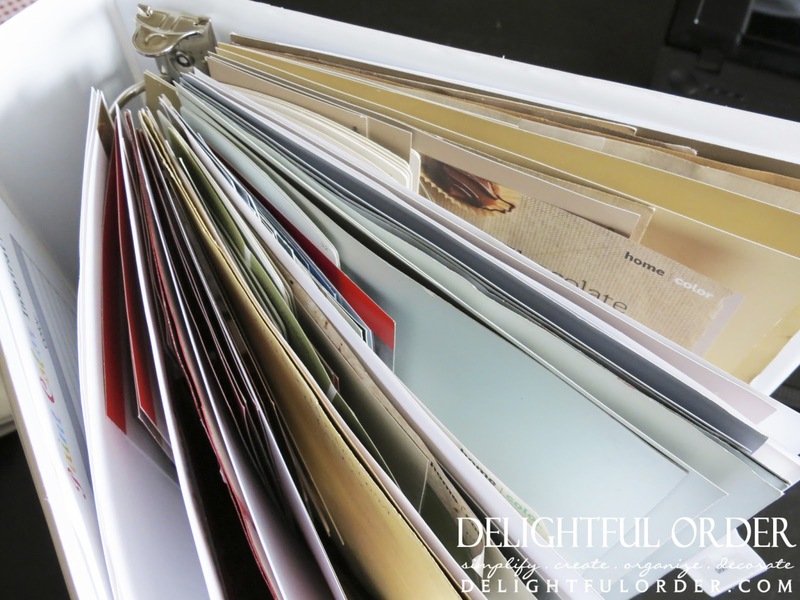 I simply pop a hole or two into the swatch and add it to the proper section in my binder. 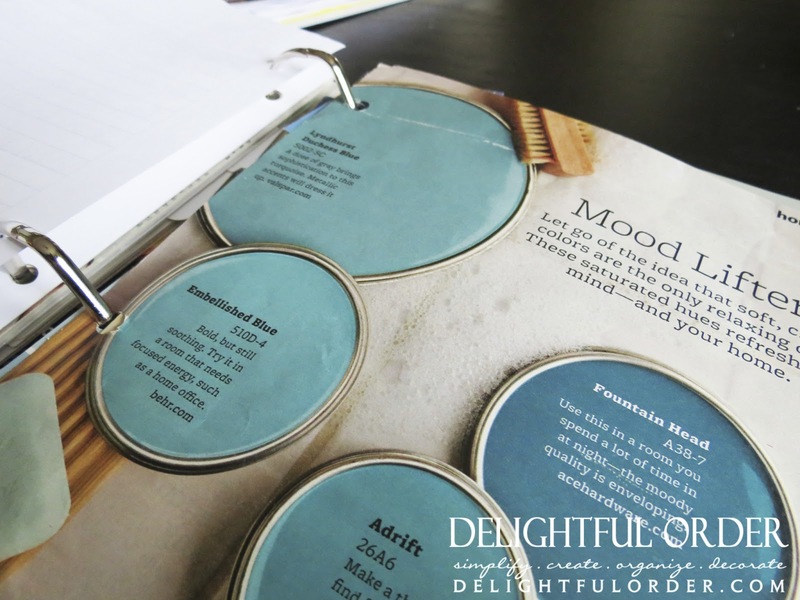 If I find color inspiration from magazines and such, I tear out the page and add it to the binder. I LOVE this set-up! It's been working great and I love that I can find the colors that I've used in my home (and colors that I may want to use one day) easily. 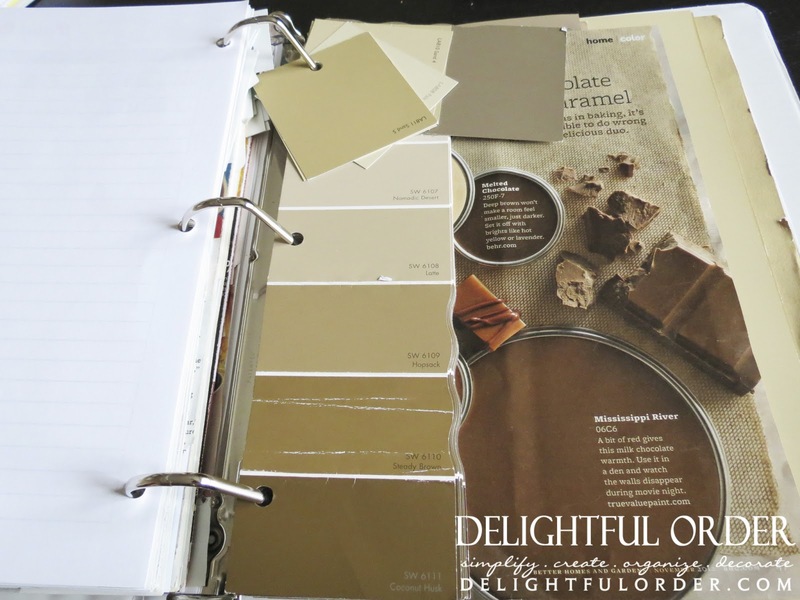 Now it's your turn to organize those paint swatches & samples that you have lying around your home. Create a binder or organize them another way and come back here tomorrow for the JANUARY LINK party on organizing papers. I can't wait to see what you've been organizing. Very cute idea! I've been wanting to organize our home colors... this should do the trick! Thanks for sharing! I did something similar but smaller, I got a photo book that could fit 4x6 pictures, and I inserted a white card cut to size that had the rooms printed on the bottom half. Then I taped my paint swatch right above it. And any if I had any colors I was thinking about I put them in the extra pages in the back. That way it was portable and I could just slip it into my purse when I was out decor shopping. Lowes now has this online for you. It is free to sign-up and it will help you keep track of everything you buy from paint colors to window coverings. You can add other things as well. 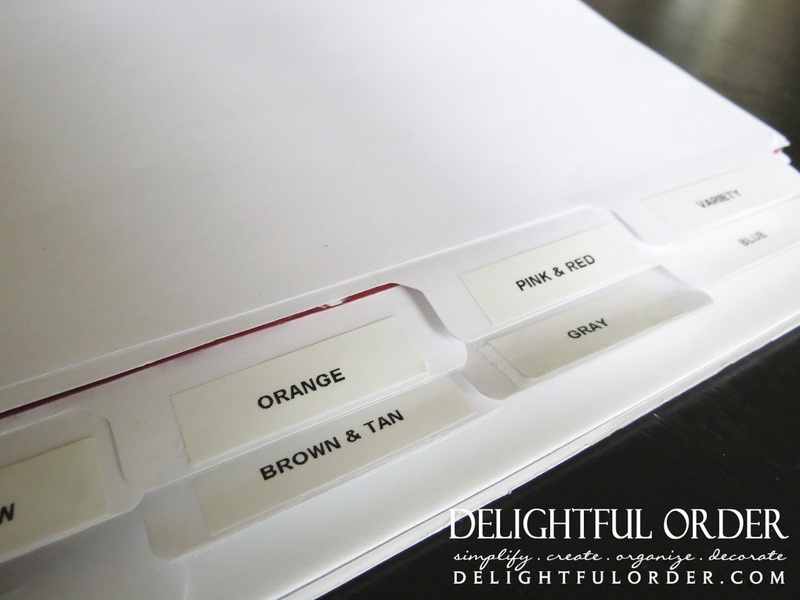 What a good idea....I like visual organization!